Royal LePage says the housing correction has begun and expects prices to fall by 8.5 percent in 2017. Prices are still higher than they were a year ago and that has many considering selling it all. Ted Chernecki explains where they'll go and who's most likely to follow through. The verdict is in: the B.C. foreign buyers tax really did pull down Vancouver’s home prices. That’s if you ask BMO economist Douglas Porter, who issued the following chart on Tuesday. This chart shows that Vancouver home prices started dropping pretty clearly after July 2016, the last month before B.C. 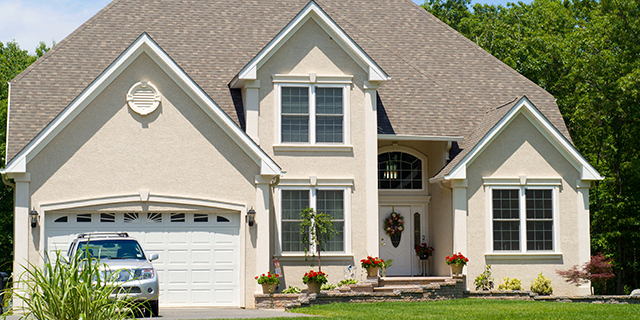 instituted a property transfer tax on foreign buyers. The chart takes its info from the MLS Home Price Index (HPI), a tool that the Canadian Real Estate Association (CREA) uses to monitor price fluctuations in the housing market. It shows prices clearly trending downward after July 2016, which was one month before the B.C. government implemented a 15 per cent property transfer tax on foreign buyers in response to rapidly-increasing home prices. By contrast, the index showed home prices in Toronto and Victoria (which was not subject to the B.C. tax) continuing their upward climb. “We have enough history now to distinguish the clear divergence between Vancouver (down) and Toronto (still straight up),” Porter wrote. Porter offered up the chart in an effort to leave no doubt as to why home prices fell: the foreign buyers tax, and not mortgage rules implemented by the federal Liberals last October. The rules required that buyers not only qualify for mortgages at their lender’s negotiated rate, but at the Bank of Canada’s posted rate. There were concerns that the new mortgage rules would make housing even less affordable (they limit how much money buyers can borrow). They certainly don’t appear to have pulled home prices down in at least two major cities. 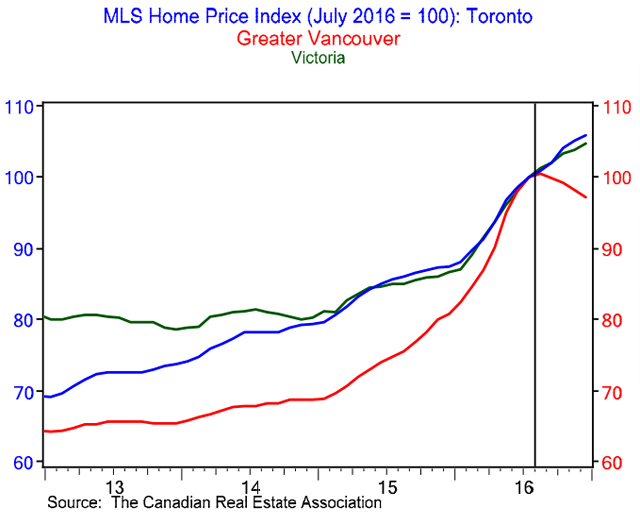 This isn’t the only data suggesting that Vancouver home prices have fallen since July 2016. Data from the Real Estate Board of Greater Vancouver (REBGV), which is not seasonally adjusted, shows the benchmark price of a Greater Vancouver home peaking in August and then steadily falling in subsequent months.